Dear Children…..when we say you need to keep an eye on the puppy so that she doesn’t get into things……we mean, KEEP AN EYE ON THE PUPPY SO SHE DOESN’T GET INTO THINGS! 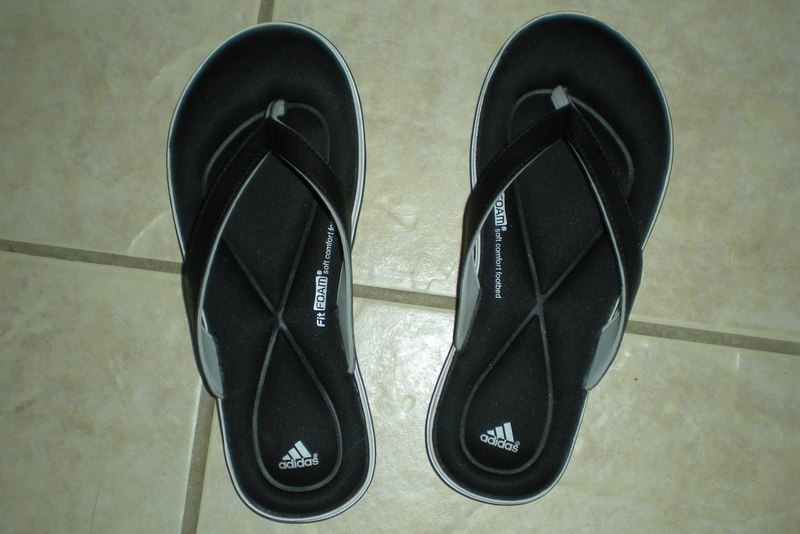 Dear Children……Flip-flops are not a proper form of footwear period……..(it doesn’t matter that I wear mine all the time, this is a case of do as I say, not as I do)…….Wearing your brand new flip-flops for the 6.8 km walk to the mall with your friend is not a good idea…… NEXT TIME WEAR APPROPRIATE FOOTWEAR OR DON’T GO! 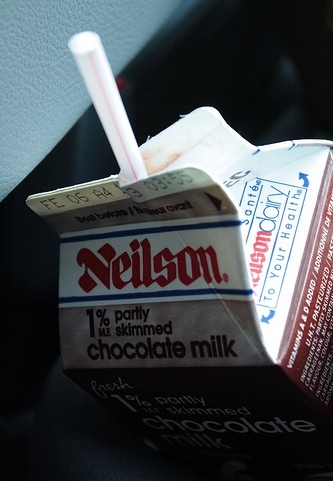 This post can go on my Dear Children page….since it is good advice for them as well…..
Dear Self…..When opening a carton of Chocolate Milk ( or any milk) to have with your lunch……before sticking the straw in and taking a big swig from it…..SMELL IT FIRST!! If it doesn’t smell right……DON’T DRINK IT!!! So much for enjoying lunch……I’m off the chocolate milk! 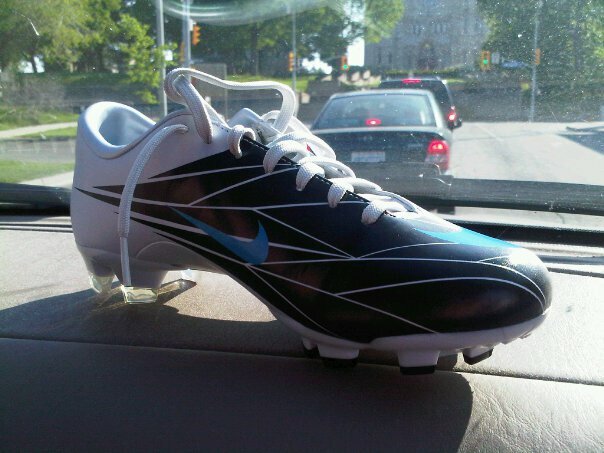 Dear Children…..When you get new shoes…..soccer cleats……BREAK THEM IN BEFORE WEARING THEM FOR A FULL GAME…..or you will get blisters on your feet. Someday you might listen to your parents and save yourself some pain. New Cleats.....cause of the blisters. 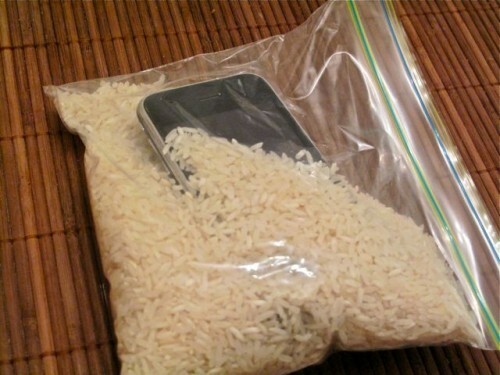 Dear Children….When carrying your cell phones around in your pockets….TAKE THEM OUT OF THERE AND PUT THEM SOMEWHERE SAFE BEFORE USING THE TOILET…..cell phones are not meant to float…..a rice bed does not always fix them. 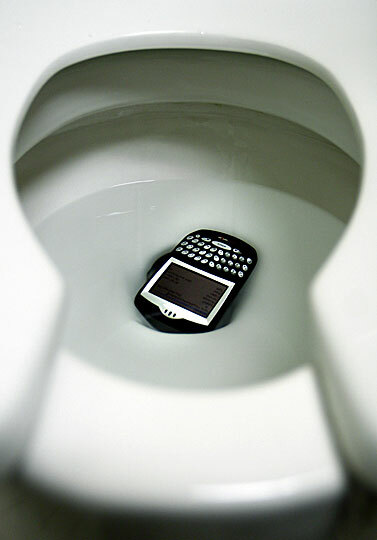 Blackberry in the toilet....not good for it. Blackberry drying in a bag of uncooked rice. Dear Children….when throwing a single item of clothing into the washing machine (why anyone would put only one small item of clothing in by itself is beyond me) and choosing the rinse and spin cycle….DO NOT ADD SOAP!! If you are planning on drying said item of clothing (once you manage to get the soap rinsed out) throw a couple of clean dry towels in with it allowing it to cycle and dry at some point. 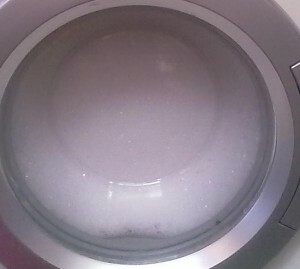 Results of soap in the rinse cycle.